I hope you still have those 3D glasses on hand, because we have another video for you. This one is a bit long, at 5 minutes, but it's outdoors, making the 3D effect all the more dramatic. As a reminder, be sure to use the drop-down to select the type of 3D glasses you have, and watch it fullscreen for the best effect. If you don't have any classes, simply select Right Image Only or Left Image Only to view it in 2D. 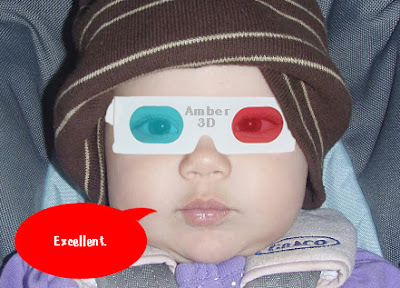 CLICK HERE TO WATCH IN 3D!